As the federal government works to put bans on “legal high” drugs being sold as incense under the name of “Spice or K2”, manufacturers have already come up with new formulas being sold under different names. 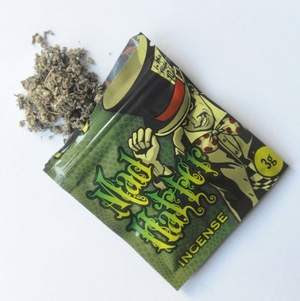 One such incense which is being abused in the state of Ohio is called “Mad Hatter”: A form of synthetic marijuana, which can cause hallucinations and increased heart rate. Last week, Ohio Governor John Kasich signed a law that makes synthetic marijuana and bath salts illegal to sell or possess. The law does not go into effect for 90 days, so in the mean time Mad Hatter is still legal in the state. Mad Hatter is sold in three-gram packages that are marked “not for human consumption.” They sell for about $25 each. David Davis, Director of the Emergency Services and Trauma Unit for Genesis, a hospital in Zanesville, OH, told the newspaper that they had treated a number of patients who had abused these “legal highs”. The Ohio bill includes an amendment that would make it illegal to produce any substance that is similar to Spice or bath salts after the bill is signed. The amendment will keep manufacturers from skirting the new bill and just changing the formula a little. Hopefully in a few years drugs like these will be illegal all over the country and any attempt to skirt the laws put in place will be a punishable offense.